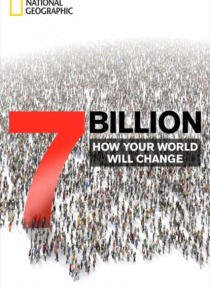 Sometime in late October 2011, the 7 billionth citizen of planet Earth will be born. To mark the event, National Geographic magazine commissioned seven articles that explore the fascinating issuesincluding demographics, food security, climate change, fertility trends, managing biodiversitysurrounding this topic, which are collected for the first time in this special ebook. Environment editor Rob… ert Kunzig starts by sketching out a natural history of population. The issues associated with population growth seem endless: poverty, food and water supply, world health, climate change, deforestation, fertility rates, and more. In additional chapters Elizabeth Kolbert explores a new erathe ';Anthropocene,' or the age of mandefined by our massive impact on the planet, which will endure long after our cities have crumbled; and takes us to the Mediterranean, where she delves into issues associated with increasing ocean acidification. In Bangladesh, Don Belt explores how the people of this crowded region can teach us about adapting to rising sea levels. In ';Food Ark' we travel deep within the earth and around the globe to explore the seed banks that are preserving the variety of food species we may need to increase food production on an increasingly crowded planet. In Brazil, Cynthia Gournay explores the phenomenon of ';Machisma' and shows how a mix of female empowerment and steamy soap operas helped bring down Brazil's fertility rate and stoke its vibrant economy. Additionally we explore threats to biodiversity, and the return of citieswhich may be the solution to many of our population woes. Join National Geographic on this incredible journey to explore our rapidly growing planet.